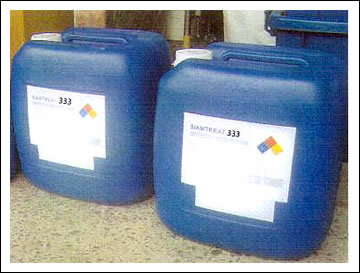 Product Description: SIAMTREAT 333 is a non-oxidizing biocide which is design for membrane fouling protection. It is compatible for all types of membranes. Products Feature: Rapid killings ranging 15 minutes � 2 hours, Inactive metabolic enzymes. Target both aerobic and anaerobic microorganism. Applicable with wide range of pH.